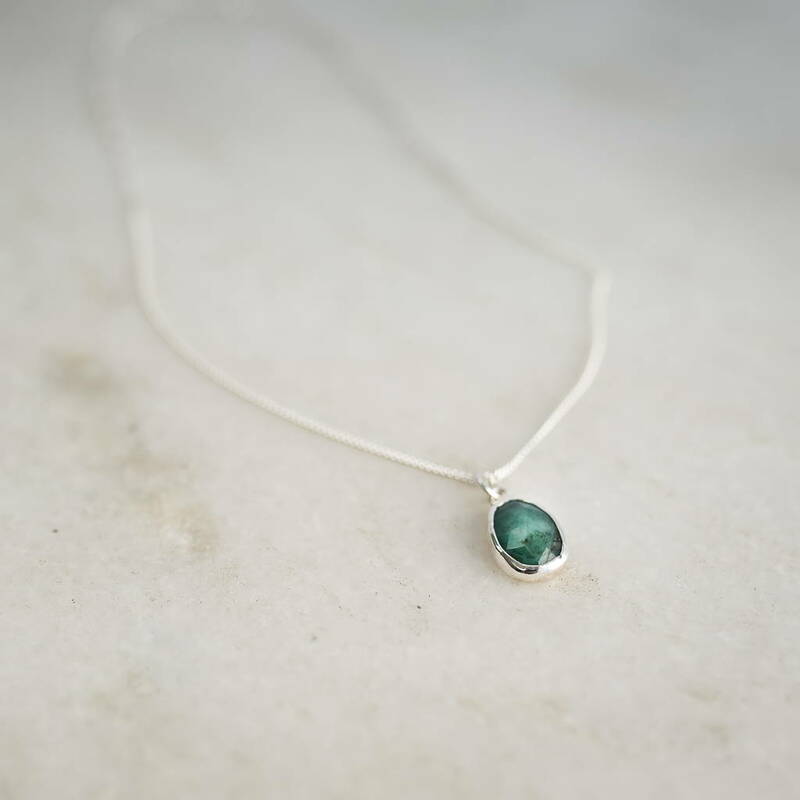 Made in our Corbridge workshop these unusual emerald stones are softly faceted and set in sterling silver. 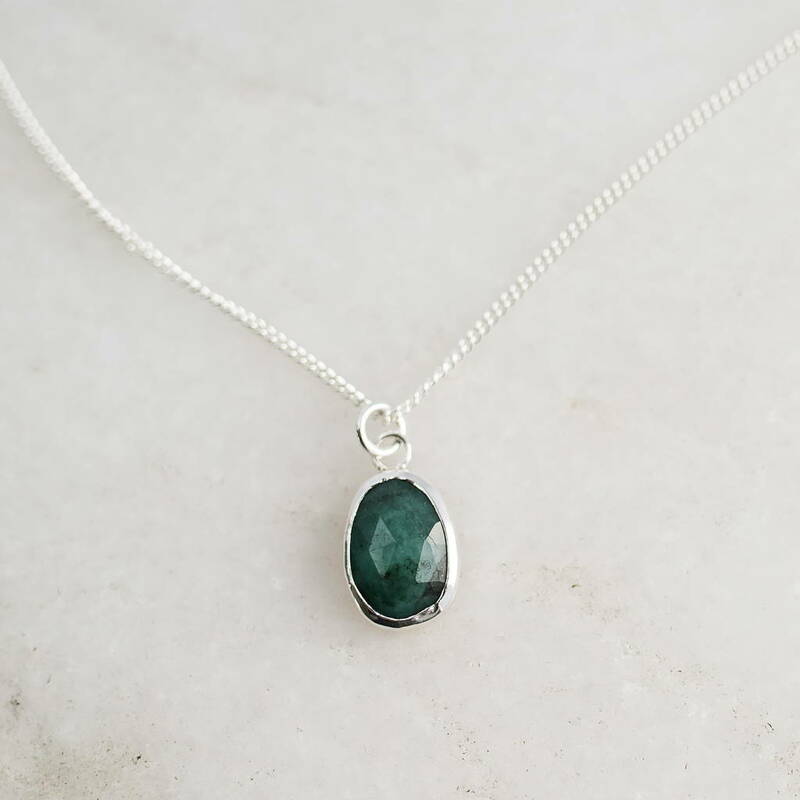 This lovely soft green emerald is the perfect gift for those born in May as Emerald is the May birthstone and would also suit a 55th Wedding Anniversary gift. Please Note: You will receive either one of the pendants featured or one similar. All pendants vary slightly in shape and size. Your jewellery will arrive in a black gift box. We will happily gift wrap your jewellery and attached a gift message upon request. 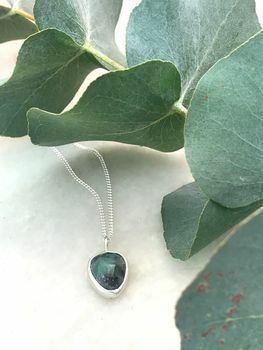 Made entirely from sterling silver with emerald. Approximately 23mm x 16mm. Hung on a sterling silver curb chain choose from 16" or 18" chain lengths.